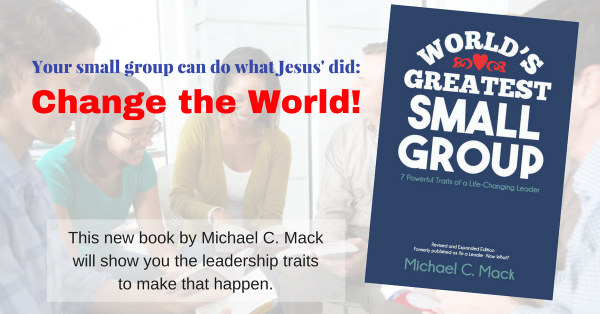 Home Small Group Leaders Don’t Let the Sheep Lead the Flock! God often takes us places we didn’t plan to go. Eventually, the back roads took me to the expressway, and I got to Mattoon safe and on time. Yet, eventually, I get to a better place—and this has taken years of my life—and it’s not until I get there that I can see what God was doing. In the middle of the detour, I believed I didn’t deserve to be where I was. But afterward, I could hear God say, “Yes, you didn’t deserve this detour to your plans, but I did it for your good anyway.” While these times were difficult and heavy and painful, I saw and learned things about life and about God that I would not have seen or learned otherwise. He taught me to rely on him and trust his course for my life. He gives me opportunities to show others who are currently detoured that God is faithful. If you lead a small group or family or team or any other collection of people, you will soon discover that they too end up on detours in their lives. Sometimes these detours look very much like the valley of the shadow of death (Psalm 23:4). Yet, somehow, he is guiding them along the right paths for his name’s sake (v. 3). Your job is not to steer them back to the road they wished they were on or planned to be on. Your job as a shepherd is not to fix them or the circumstances. Your job is simply to walk with them through it. You shepherd them as the Good Shepherd guides you. You simply overflow (see v. 5) the compassion and love and peace and comfort and wisdom and power that he has poured graciously into you. Just be with them during these times. Often, people don’t want to go where the Chief Shepherd wants them to go. He leads us out of our comfort zones so that we will rely on him, not ourselves, for our comfort and peace. Guiding people to go (or as they go) places where they do not want to go is not easy or comfortable for you or them. God wants your group to go and make disciples, but they want to stay on the smooth and easy road they know of comfort, stability, and safety. God wants your group to serve the poor and hungry and homeless and imprisoned, but they want to serve themselves with good meetings and safe relationships. God wants them to mature so that they will take on leadership and feed others, but they just want to stay put and be fed. If you as God’s shepherd-leader decide to follow the Chief Shepherd, you will face conflict from sheep who don’t want to go there. I can point to many biblical examples of this, but one of the clearest comes from the Exodus and the wanderings of the Israelites in the wilderness. They were off course from where they expected to be. They were looking for the Promised Land, but found themselves in the desert. Moses was their shepherd but he found himself in constant conflict with stubborn sheep. Moses heard God’s voice telling him to lead the people, but he also heard the loud bleats of sheep who didn’t want to go God’s way. When this happens as you lead, what do you do? Always, always, always hold high the values and principles found in God’s Word. Don’t give in to lesser values. Listen to God’s voice first (and you need to spend time with him—abide in him—to hear him), and then to people’s voices. When there is conflict between those voices, refer to #1. Don’t kowtow to people who prefer their comfort over God’s mission. God has chosen you to lead his flock. He has entrusted these people into your care as an act of stewardship. He wants you to invest into them, care for them and, lead them to where he wants them to go. He wants a return (Matt. 25:14-30)! He wants fruit (John 15:8). Be a wise and faithful steward-servant-shepherd who follows the Chief Shepherd. What places does God want your group to go that group members don’t want to go? Share it by scrolling down and commenting.